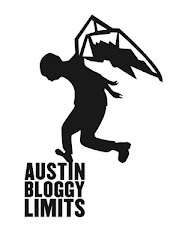 AustinBloggyLimits - An Austin Music Blog: Review: Shabazz Palaces and !!! Last evening, Mr. S. and I went down to ye olde Mohawk to enjoy the sounds of !!! 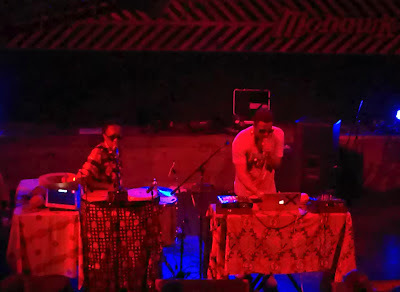 and Shabazz Palaces. We arrived shortly after !!! had already taken the stage. The crowd wasn't packed but it wasn't thin either. There were 6 people on stage propelling and insistent sound from the stage causing the audience to gyrate maniacally. By the time we found our spot on the front balcony the lead-singer had managed to scale the speakers and was on the side terrace singing in people's faces and moving like one of those boys in the cages at Rain. His shorts were shockingly short and people below MAY have seen his balls but that is unconfirmed. The band tore through a wide array of songs from their career mixing up classics with unreleased songs, all of which were bursting with energy. I have never been a huge fan of !!! records and I wasn't super-interested in catching their set last night but by the time they were through I felt like a fool. They have a ridiculously fun energy and I look forward to their next show. 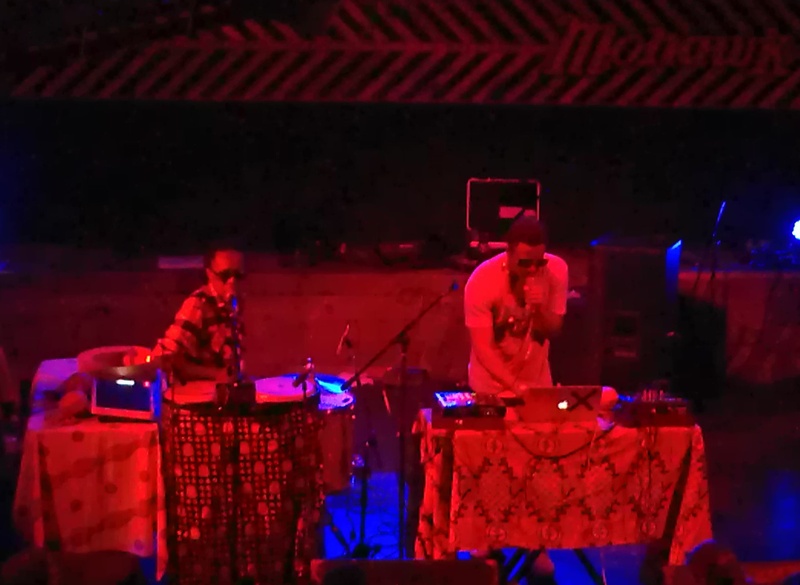 The energy for Shabazz Palaces' set was much more subdued but extremely entertaining nonetheless. 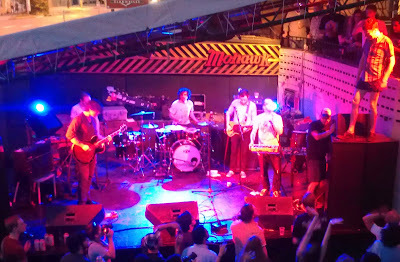 They had two people on stage, one armed with a laptop and a drum machine. The other with bongos, a tom drum, high-hat, MPC and a couple of African percussion instruments. They took a couple of minutes getting all of their levels the way they wanted them but once they started the first song they played music wall to wall for over an hour. There was no in-between-song banter, there were no flashy lights it was simply a captivating live performance. The audience was extremely attentive with little-to-no talking. I was also incredibly impressed with how enthusiastic the crowd was. Part of me expected that a lot of people were at last night's show for !!! and that they would leave once their set was done. I was pleasantly surprised to find this was not the case. There were people in the crowd who were only marginally familiar with Shabazz Palaces but I feel like the majority knew at least some words to some songs and many people knew all the words to all of the songs. I've been a big fan of Black Up and I have actually seen Shabazz Palaces perform at SXSW but at that point I didn't know their songs very well. Last night the songs took on a different shape, I felt an energy in them that I hadn't felt before and I know I'm not the only one. No one uses the sounds that you'll hear on Black Up and hearing those sounds reproduced live makes them sound that much more profound somehow. I am convinced that Shabazz Palaces exist on another plane, in another dimension and we are lucky to receive their transmissions. After the show I told Mr. S. that I hope Black Up becomes a point of inspiration for the next generation of hip-hop. It is powerful and different enough to spawn a brand new movement in hip-hop and I embrace that potential whole-heartedly.